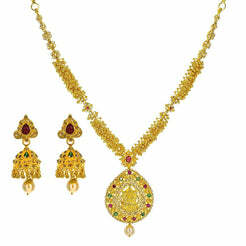 3.5CT Diamond Teardrop Link Necklace and Earrings Set in 18K Yellow Gold W/ Centered Changeable Pendant for women. 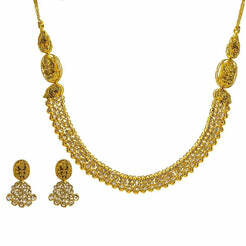 Diamond Necklace with matching earrings. 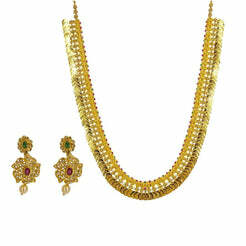 It’s a luxurious jewelry set ideal for remarkable occasions. Gold weight is 34.1 grams.